Anthony “Tony” John Petta Burrows, 56, of Solvay, passed away Thursday, April 11, 2019 at Crouse Hospital. A lifetime resident of the Syracuse area, he was a graduate of Fayetteville-Manlius High School and earned his associate degree from Paul Smith’s College. 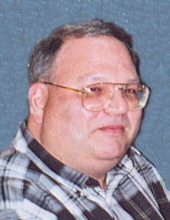 Tony was employed with Buffalo Niagara Transport for three years and worked as a terminal manager at DHL. He also worked in the funeral industry and various restaurants for many years. Tony enjoyed playing cards and spending time with family and friends. Tony was predeceased by his father, Kenneth; and sister, Cathy Schilling. Surviving are his sons, Anthony Jr. of Philadelphia, PA and Pat of Solvay; mother, Jeanette of Solvay; sisters, Toni (Mike) DeGaetano of North Carolina, Joni (Bob) Salvagni of Solvay and Gina (April) Burrows of Liverpool; brothers, Gary (Michele) of Onondaga Hill and Ken (Judy) of Solvay; grandmother, Mary Miller of Solvay; and many nieces, nephews and cousins. Relatives and friends may call Sunday, April 14 from 2 to 5 p.m. at the Buranich Funeral Home, 5431 W. Genesee St., Camillus. Services will be Monday, April 15 at 9 a.m. at the funeral home. Tony will be laid to rest in Lakeview Cemetery, Skaneateles. In lieu of flowers, contributions may be made to his children, c/o Jeanette Burrows, 302 Bacon St., Solvay, NY 13209. To send flowers or a remembrance gift to the family of Anthony "Tony" John Petta Burrows, please visit our Tribute Store. "Email Address" would like to share the life celebration of Anthony "Tony" John Petta Burrows. Click on the "link" to go to share a favorite memory or leave a condolence message for the family.